Best known for its well-preserved Roman city ruins, Jerash is an archaeology buff’s dream. It was first conquered by Emperor Pompey in 63 BC, when it was known as Gerasa; today, Jerash is famous for its well-maintained structures of everyday Roman architecture – think smooth, wide colonnades and airy forums – and its recently resurrected Roman Army and Chariot Experience or RACE, which involves the large-scale reenactment of gladiator fights and chariot races in its ancient hippodrome. 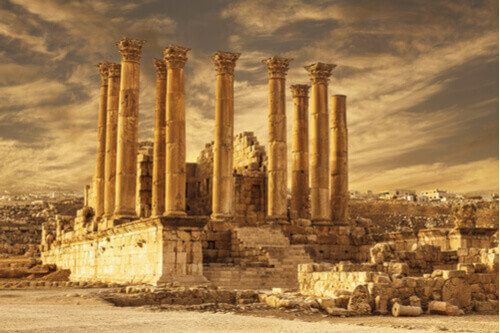 Enter the city through the unfinished, unique majesty of Hadrian’s Arch – built to commemorate the Emperor’s visit in 129 BC – and explore the stunning remains of the Nymphaeum Fountain, Temple of Artemis, and the Jerash Archaeology Museum. If you have a full day to devote to Jerash and its surrounding area (a lovely landscape of olive and fig groves, pine forests, and smaller historical structures), considering visiting nearby Ajloun, an ancient monastery-turned-castle with a thrilling history dating back to the Crusades. While Petra is arguably the priciest part of a Jordanian trip, no visit to Jordan would be complete without seeing its crown jewel. 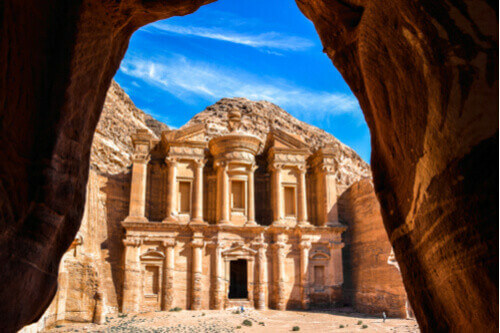 A UNESCO World Heritage Site and iconic part of Jordanian identity, Petra represents the finest remains of the Nabataean Empire, which originated in nomadic tribes associated with both Arabic and Aramaic cultures. The best way to get around is by walking – and there’s plenty of it, as Petra is a deceptively massive complex at 264 sq km. Petra’s most iconic feature is the façade of the Al-Khazneh (or The Treasury), made world-famous by Indiana Jones and the Last Crusade – but there is far more to explore, including the Petra Amphitheater, Qasr-al-Bint temple, the Street of Facades, the High Place of Sacrifice, the Monastery, and the Royal Tombs. There are several trails of varying difficulties – this is where your well-packed hiking boots and sneakers come into play – and while there are plenty of donkeys and horses for hire, these often come with hidden prices and tips. There’s also a popular Petra By Night tourist experience (think candle-lit shows and traditional Bedouin music), though we recommend visiting early in the morning when there are fewer crowds. Featuring some of the most alien aesthetics you’ll see on this planet, Wadi Rum’s incredible desert has played host to some of Hollywood’s biggest movies, including Rogue One, The Martian, Prometheus, Transformers 2, and Lawrence of Arabia. Be prepared to immerse yourself in otherworldly landscapes – the sand is a startling shade of red – made up of ancient petroglyphs, rock formations, Nabatean carvings, stone cairns, and traditional Bedouin camps. Wadi Rum is known as ‘the valley of the moon’ and best explored with a guide, either on camel or in a 4x4; riding a camel is definitely memorable, but for sheer efficiency, most people opt for a jeep. While it is possible to walk around on your own, this can be a disorienting and exhausting experience for newcomers. Regardless, don’t forget to bring plenty of sunblock, water, and something warm to wear in the evenings. 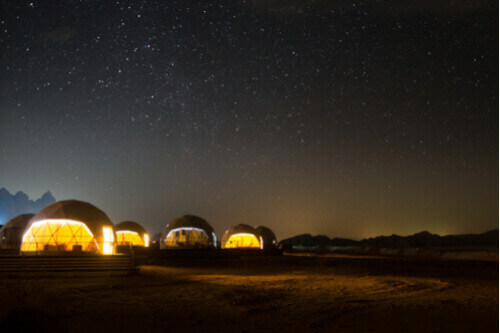 If time permits, there are wonderful opportunities for camping – thanks to Bedouin hospitality – but also modern options straight out of science fiction, like the luxurious geodesic domes at SunCity Camp. Wadi Rum has around 25,000 petroglyphs and inscriptions in several North Arabian languages, making it a critical research site for historians, archaeologists, and linguists. Adrenaline junkies might look into quad biking, skydiving, or hot air ballooning over the desert. 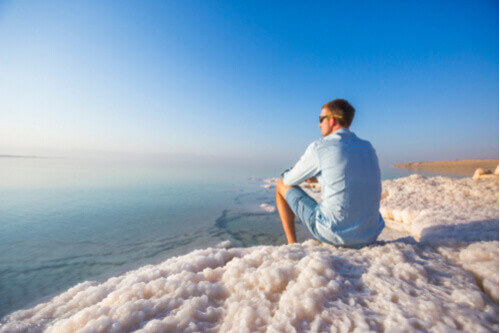 Arguably one of the most famous natural oddities in the world, the Dead Sea is one of the saltiest lakes in the world, making it possible for visitors to float easily on its surface. Sandwiched between the Palestinian West Bank, Israel, and Jordan, the Dead Sea is also the lowest body of water on earth; curious pillars of salt can be seen dotting its surface as saltier sediment sinks and fossilises on the bottom of the lake. It has a rich ancient history as a health spa, and many consider its dark mud and minerals to have medicinal and cosmetic applications. New swimmers might be surprised at how oily the water feels – due to its intense salinity – but rest assured, this is called the dead sea for a reason, because nothing can live within it. If you’re just after a quick float, avoid paying fees by heading farther away from the main Amman Tourist Beach. We recommend wearing sandals in the water, as the hardened, rocky salt surface is murder on bare feet. Bring bottles of fresh water to wash your hands and face after your dip. 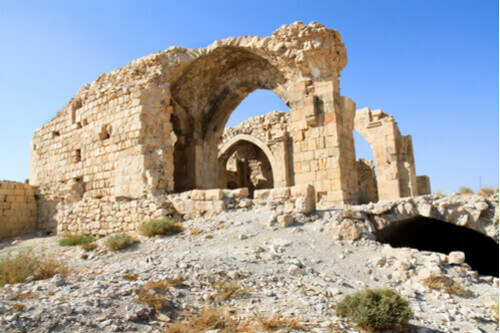 There are six Crusader castles in Jordan, so named for their role in the medieval religious wars between old Christendom and the Muslim Saracens. Jordan’s most prominent Crusader castle is Kerak Castle, a 12th-century stronghold that was the site of several sieges by Saladin. Also worth a visit is Shobak Castle, sometimes called Montreal (from its original name, Krak de Montreal) – while not much remains of the original Crusade-era structures, this was also the site of a historical siege by Saladin, and still contains ancient Arabic inscriptions, stone tablets, a reconstructed Mamluk watchtower, and the remains of the Crusader church. Mosaics are the name of the game in Madaba, a bustling city in central Jordan with a history that dates back to the Middle Bronze Age. 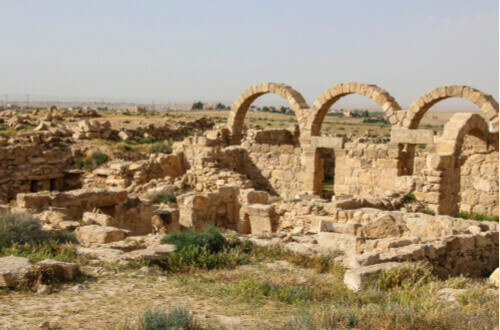 Madaba also has an archaeological park that features the remains of Byzantine churches and ancient mosaics from Machaerus, also known as the Castle of Herod the Great (reportedly the site of John the Baptist’s beheading). 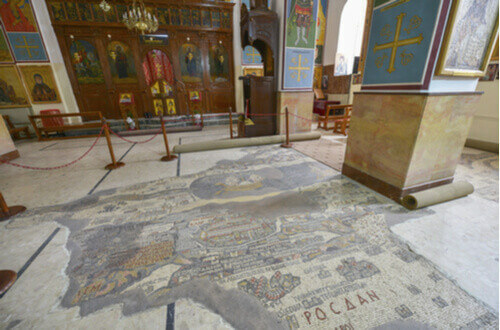 One of Madaba’s best known mosaics is the 6th-century Byzantine floor map at St. George’s Church, the oldest known of its kind, featuring rivers, hills, valleys, and towns all over the Holy Land. A short drive outside of Madaba is a UNESCO World Heritage Site that contains a rich trove of Roman, Byzantine, and early Muslim ruins and relics. Umm ar-Rasas is the remains of an ancient town that was once home to sixteen early Christian churches, a Roman fortress, and its nearby stylite tower – a tall, spartan structure which provided an isolated place of refuge for monks and other Christian ascetics. There are active archaeological teams here today.